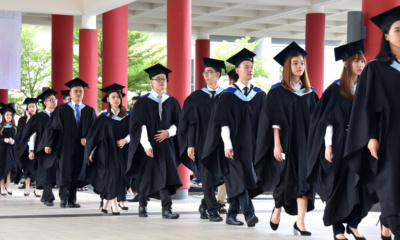 We have seen all kinds of gifts being exchanged as couples expressed their appreciation and affection to one another on that day. However, coming up with the perfect gift proves to be a bigger struggle than we expected. 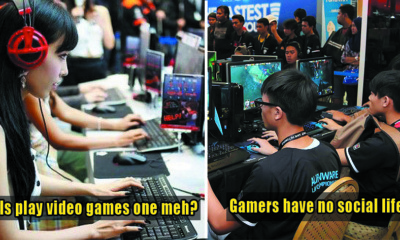 Chocolates are now too cliche, teddy bears are so generic, and flowers are just too predictable. Ugh, then what can I buy now?! 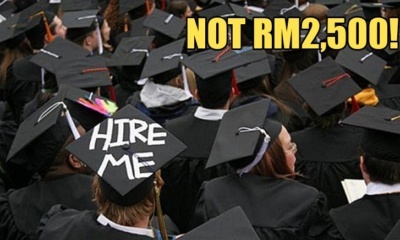 Well, you won’t have to worry about it because we got you covered! 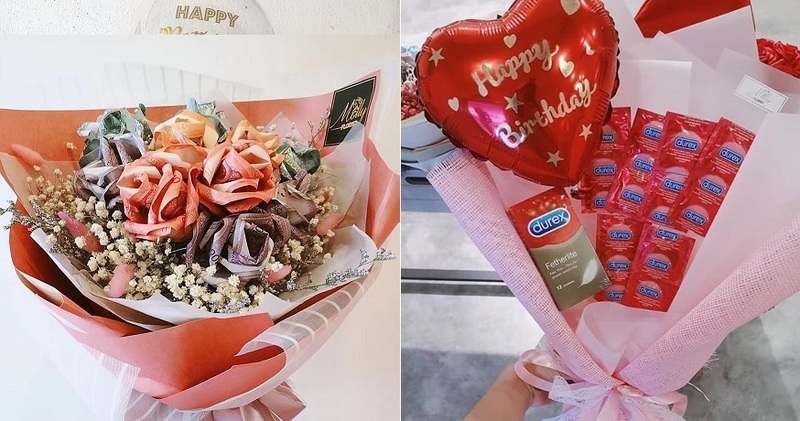 Instead of buying your special someone the usual bunch of flowers, why don’t you spice things up this Valentine’s Day with these unique bouquets? 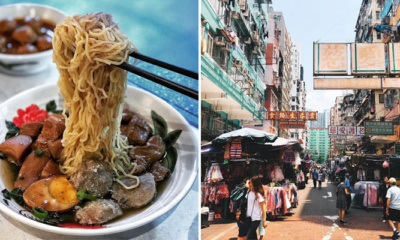 The best part about the 14th of February for this year is that it is in the middle of the Chinese New Year. 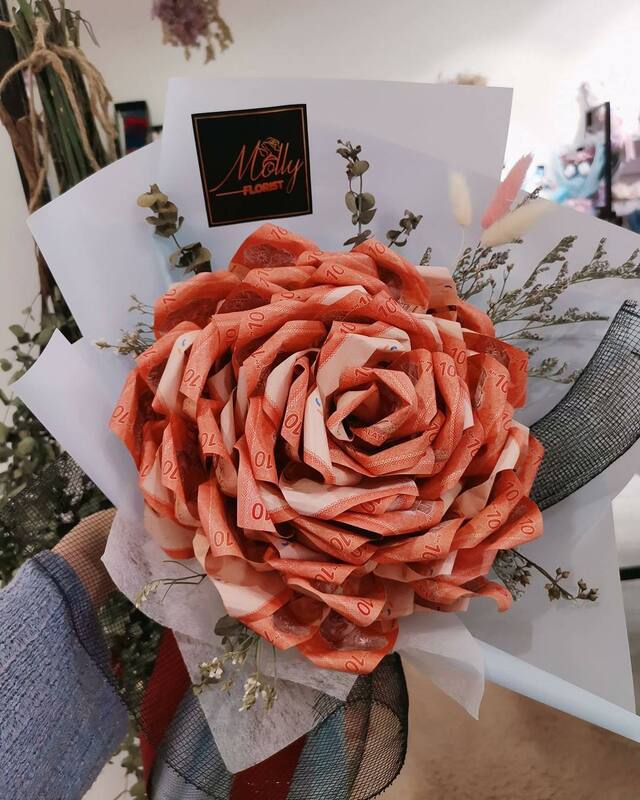 So, for this Valentine’s Day, why not treat your loved ones to some extra Ang Pao with this Money Bouquet! 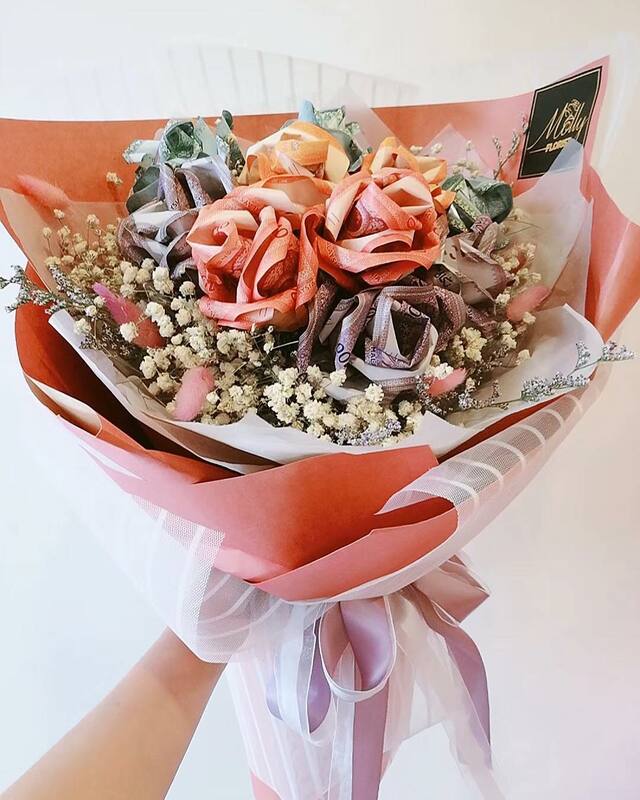 Each rose is beautifully folded using five money notes and the price of the bouquet varies, depending on how much money you want to spend. 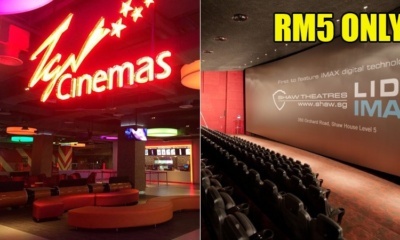 If you feel like balling a little, you can even choose to use RM20, RM50 or RM100 in your bouquet! Let’s be real here, Valentine’s Day can get a little frisky sometimes. Well, you’re in luck because Molly Florist My’s other bestseller is the perfect solution for you. 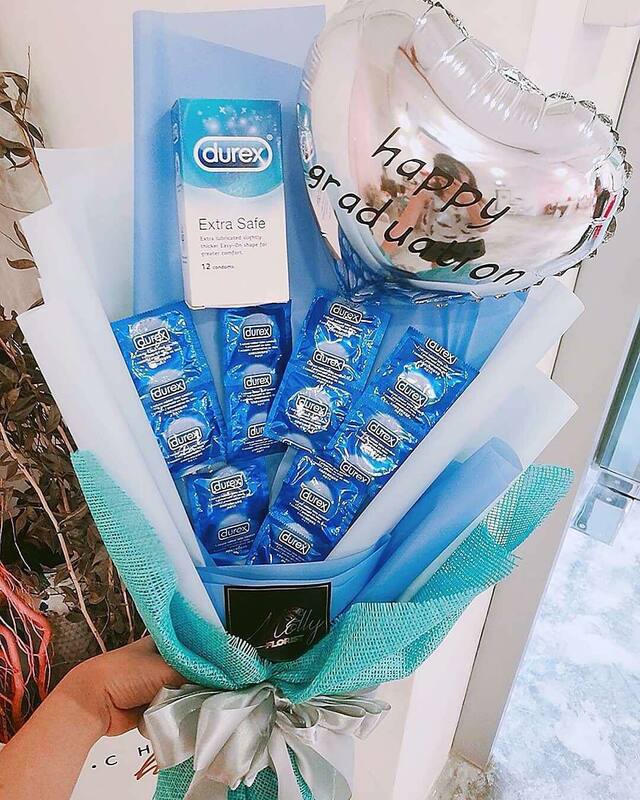 These Condom Bouquets are filled with a generous amount of “protection” and comes in either red or blue. 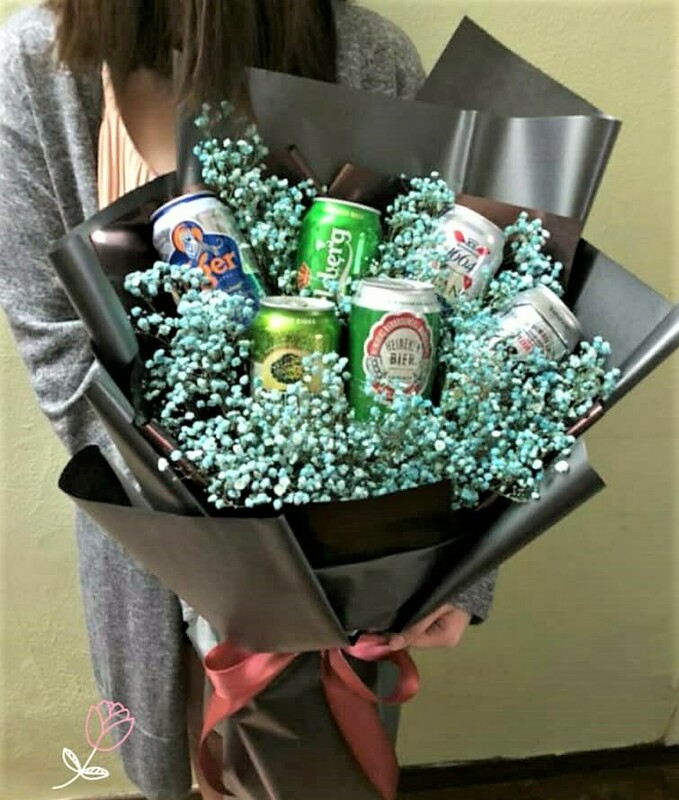 This bouquet is perhaps one of the best ideas for Valentine’s Day as it is sure to keep your partner happy all night long. 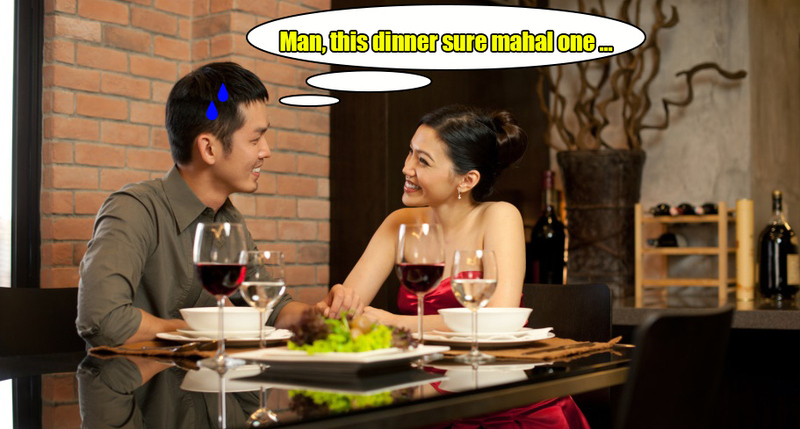 They say that the way to anyone’s heart is through their stomach. 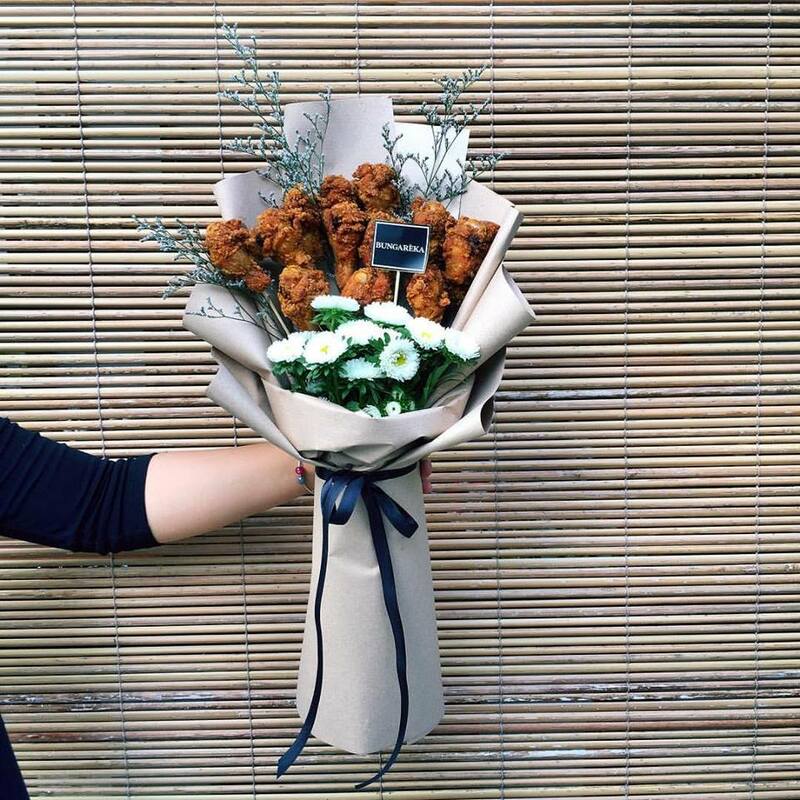 If that is the case, Bunga Reka MY must be Cupid as their Fried Chicken Bouquet will definitely make anyone fall in love with you. 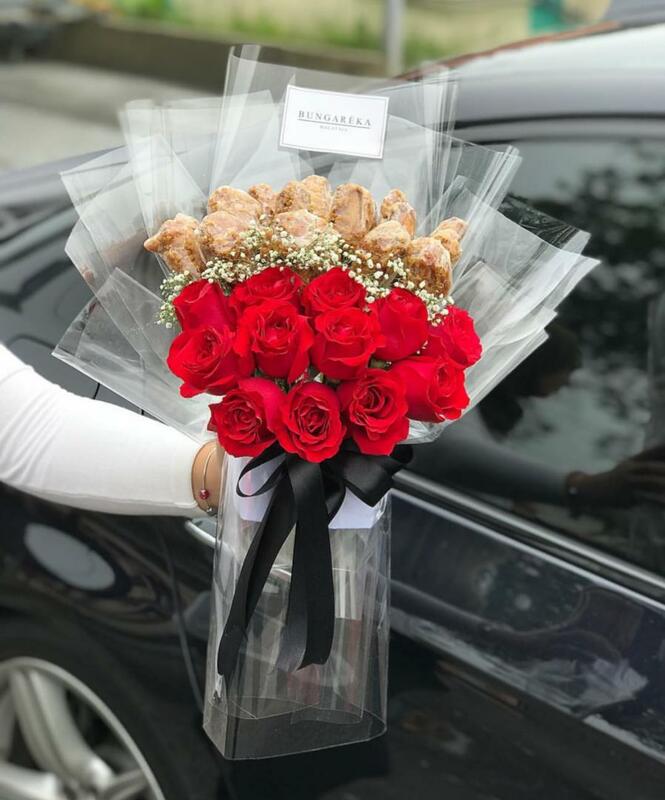 This combination of flowers and fried chicken is a match made in heaven and I can assure you, it will fill your partner’s stomach and heart at the same time. They also provide chilli sauce for anyone who literally wants to spice things up! Who says you can’t eat McDonald’s on a romantic date? 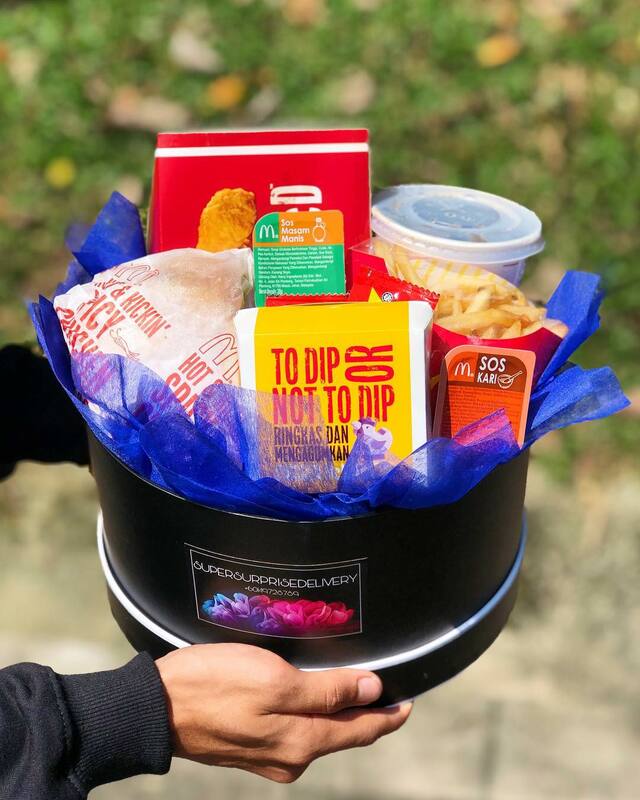 The McDonald’s bouquet is perfect for couples who like to make the most normal things a little extra. 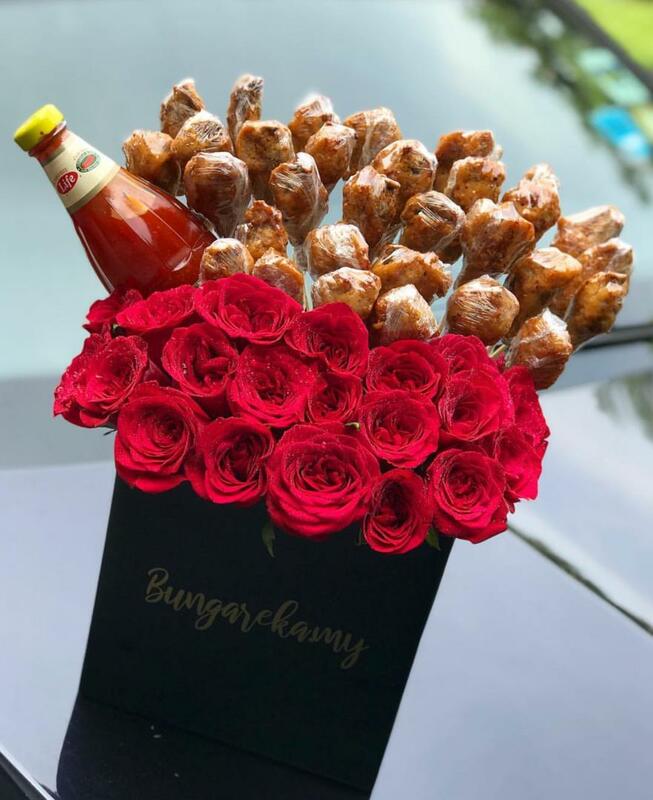 The most common fast food chain that we often guiltily indulge in has now transformed into one of the most aesthetic gifts for Valentine’s Day. 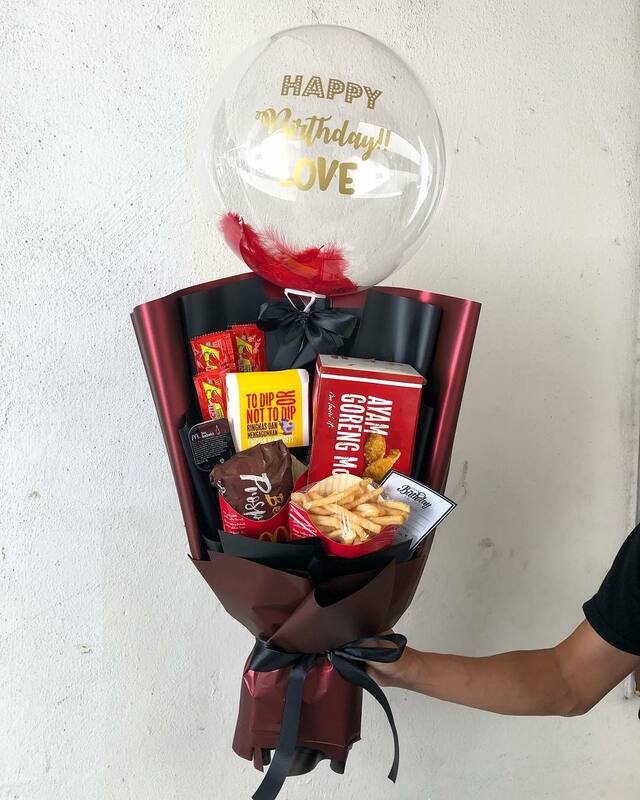 The best part is, it consists of all of your favourite food like french fries, Ayam Goreng McD, and of course, nuggets as well. 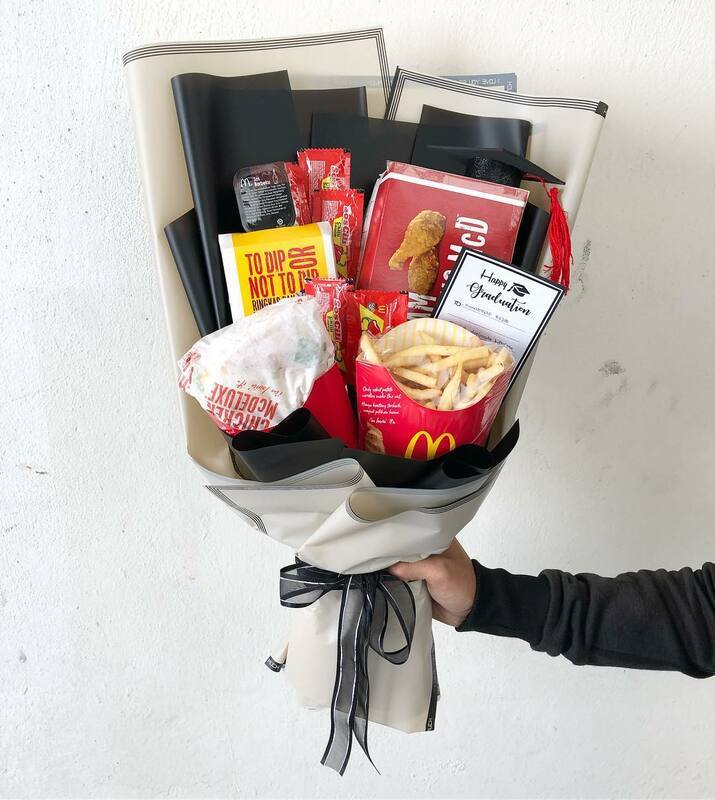 And if that isn’t filling enough for the two of you, you can try out their latest take on the McDonald’s bouquet! 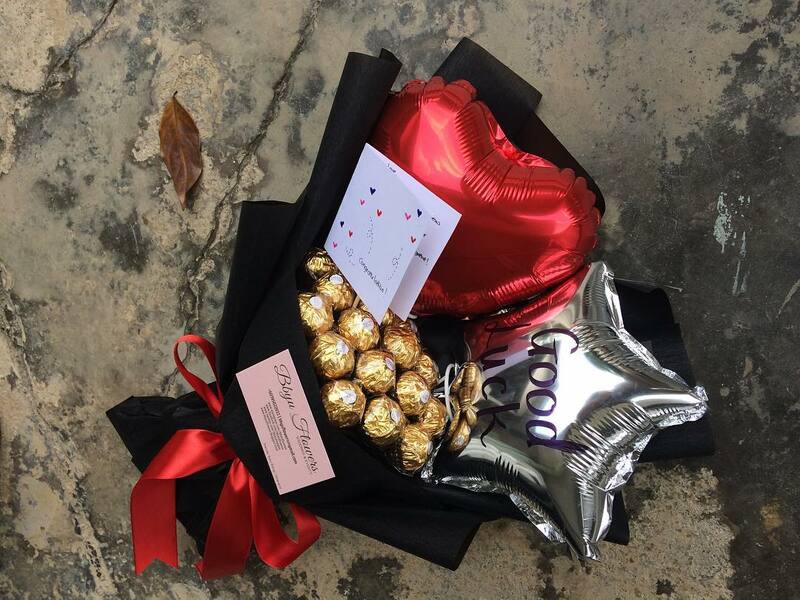 As previously mentioned, chocolates and flowers are one of the most generic gifts for Valentine’s day. 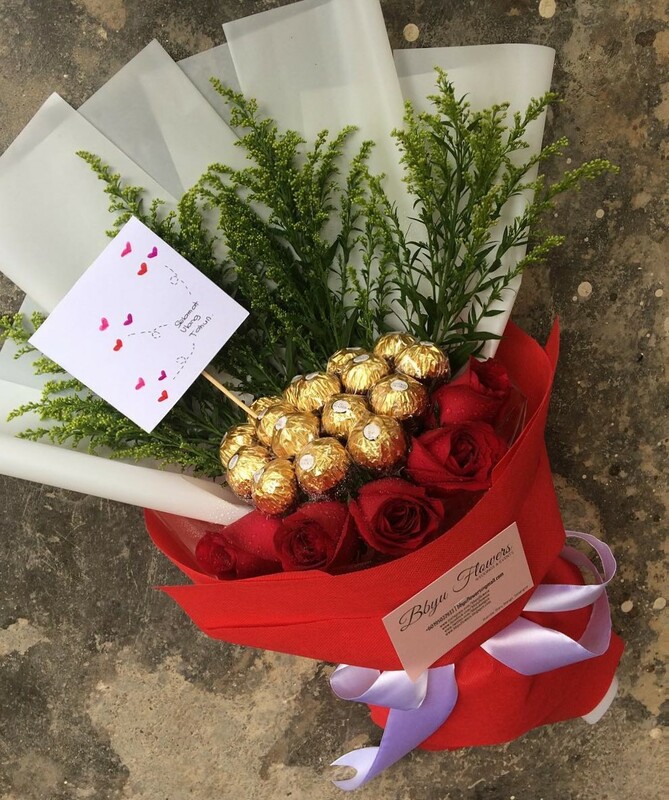 However, Bbyuflowers decided to break that stereotype by combining the two to make the Ferrero Rocher Bouquet! 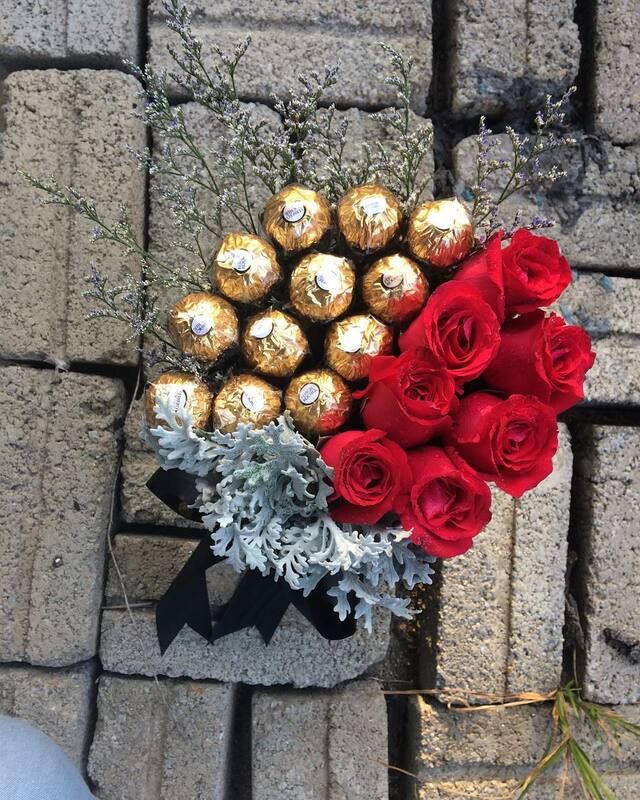 You can fill your bouquets with as many pieces of chocolate as you desire, starting from ten pieces, up to 100 pieces. 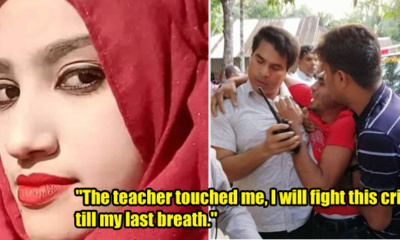 If you ask me, this is the literally the sweetest one on the list! 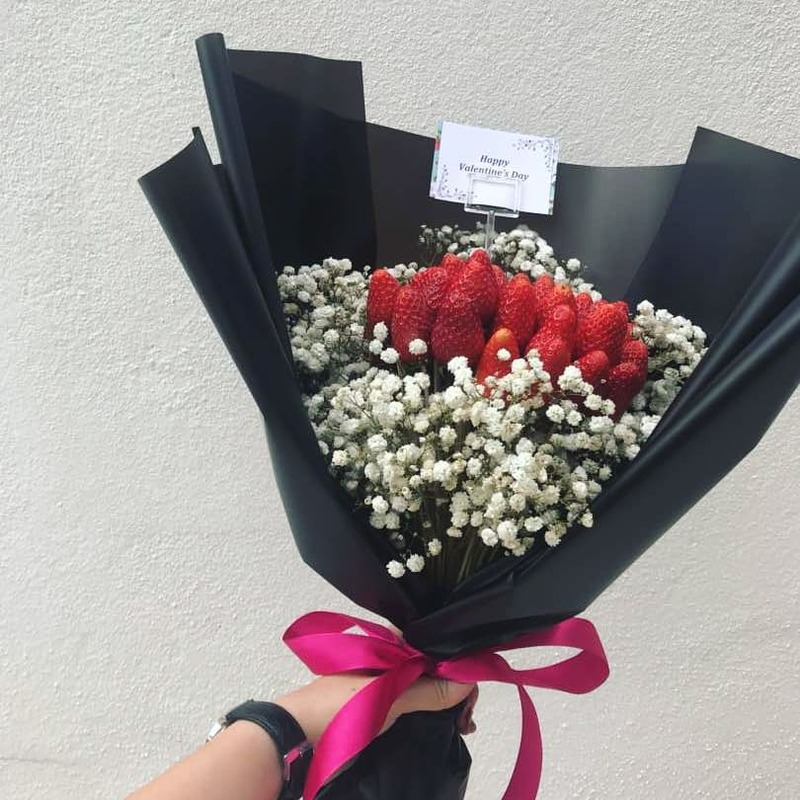 It is widely known that strawberries are one of the most sensual fruits and Petals Note fully took advantage of that fact. 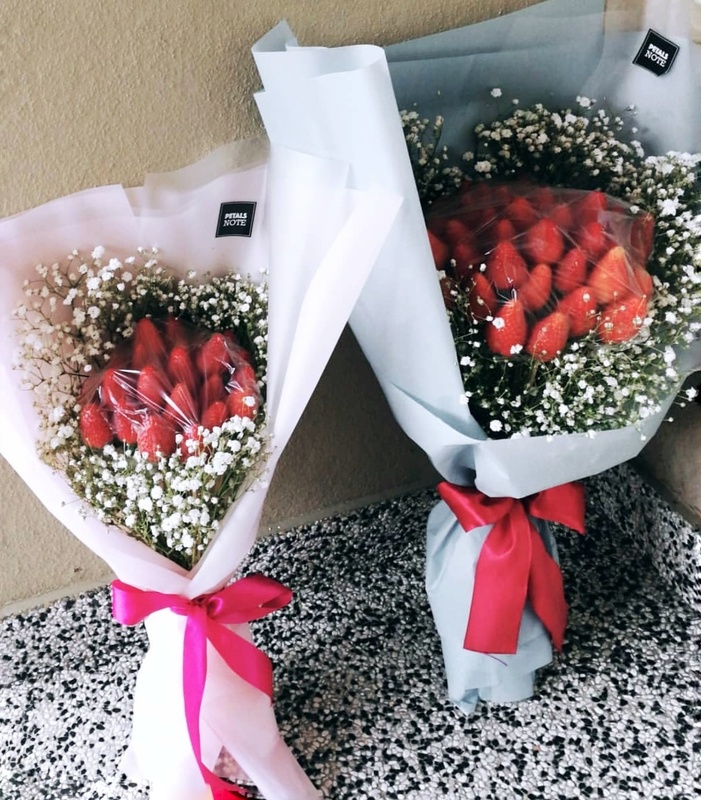 These bright red strawberries contrast beautifully with the baby’s breath for a super gorgeous look. 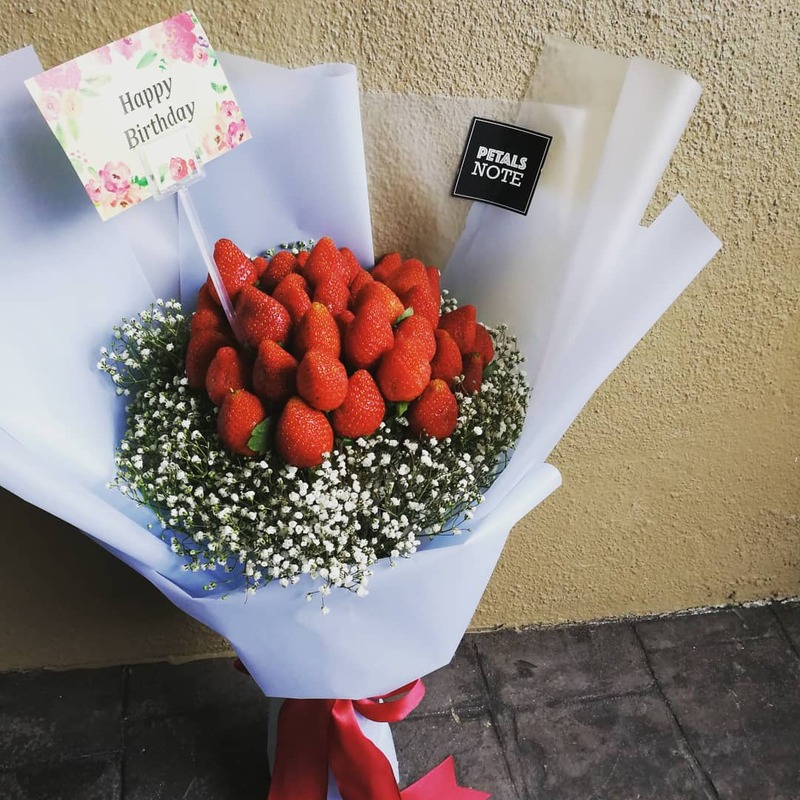 Not only do these strawberries form a beautiful bouquet for your significant other, it also makes a good dessert to follow up after your romantic dinner. 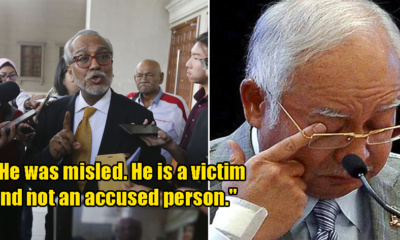 Yes you alcoholics, you’ve read that right! 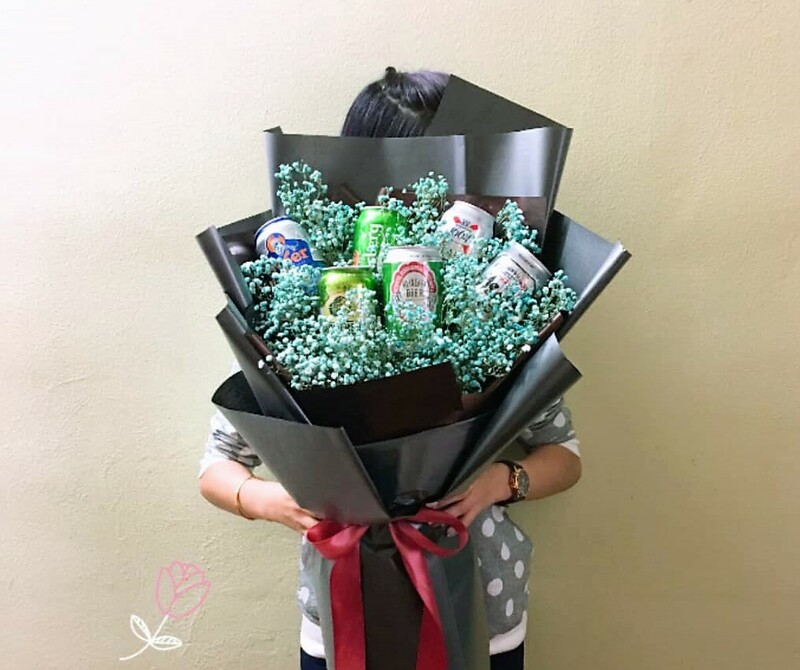 The Beer Bouquet starts from RM95 and varies depending on how many cans of beer you want in your bouquet. 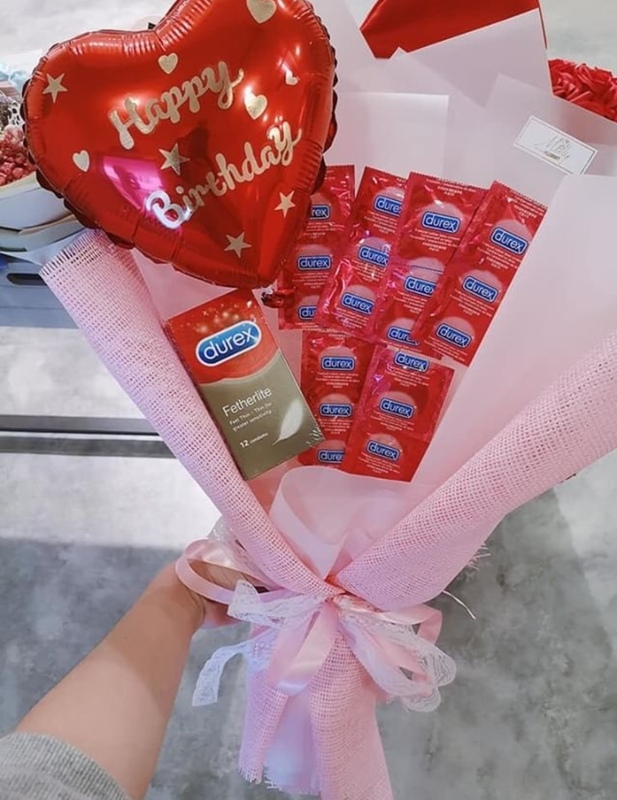 This genius creation is the best gift to show that you’re the type who is a hopeless romantic, but loves to party hard. 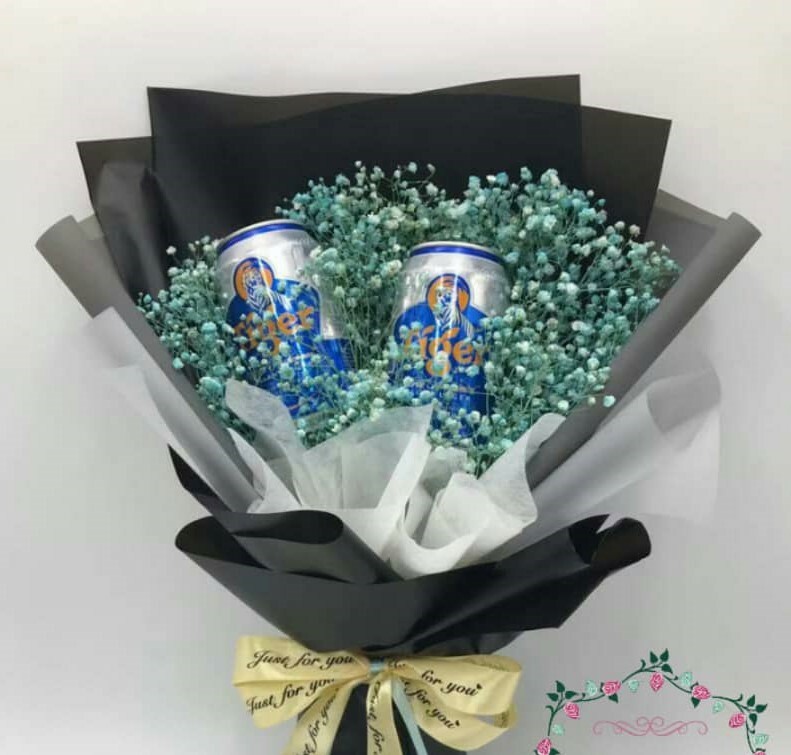 However, as Valentine’s Day is on a Thursday, do enjoy this bouquet responsibly. Wouldn’t want to go to work the next day with a hangover right? 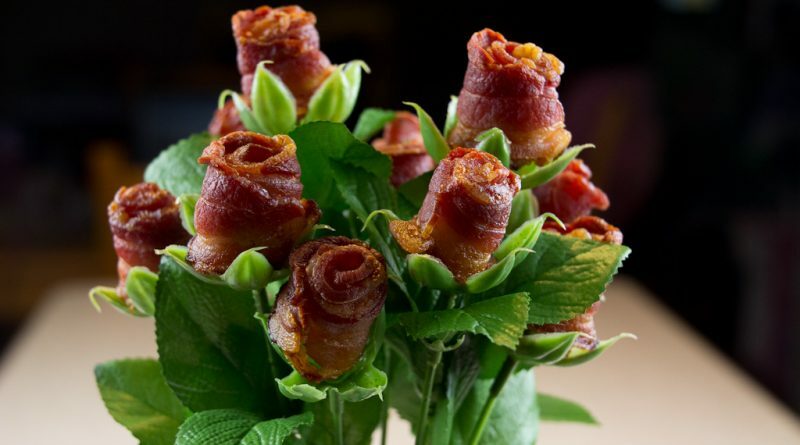 Last but not least, we have the Bacon Bouquet. 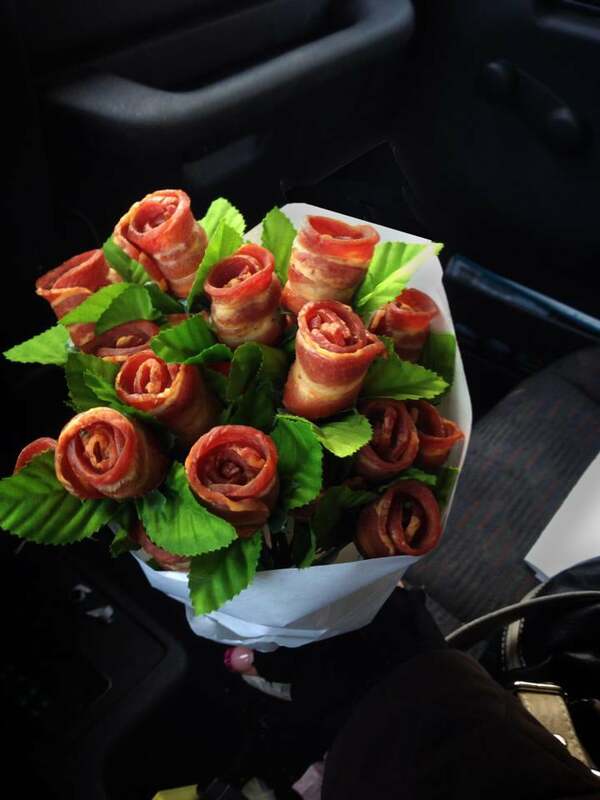 Or should I say, bae-con bouquet? 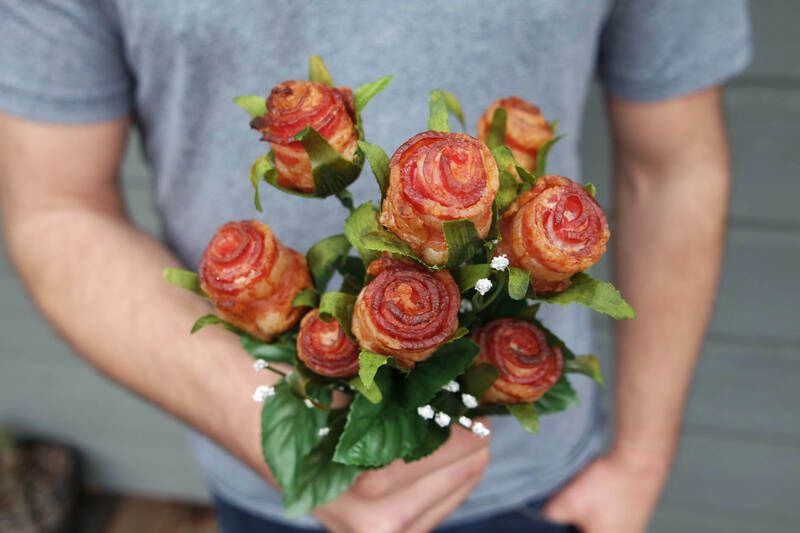 This porky goodness is what happens when you want to truly express your love into one bouquet. 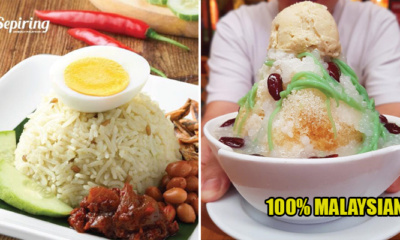 Although you cannot buy this in Kuala Lumpur, it is actually fairly easy to make it on your own. Using a bouquet of flower stems, all you need to do is cook a few rolls of bacon and arrange it neatly on the stems. For a step-by-step instructional guide, you can watch this video to learn how to do it. 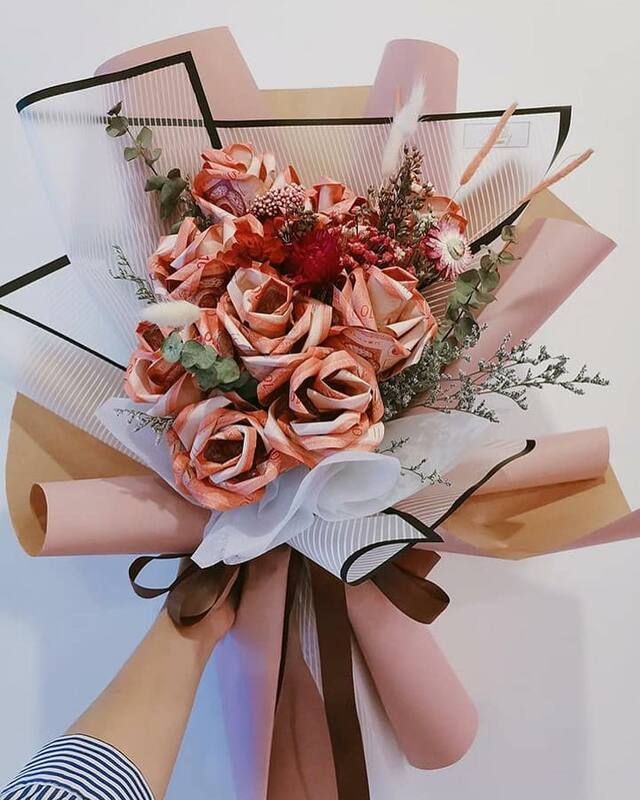 Regardless of whether you’re in a relationship or not, these bouquets make great gifts to express your appreciation to your loved ones. So this February 14th, why not show your loved ones how much they mean to you?